Garfield Cemetery is located a little over 2 miles from where I grew up. Each Memorial Day we would make our annual visit and place flowers on the graves of our relatives. Little Beatrice Fern's grave always made me so sad, but none more so than when I took this picture last week. It used to have a little piece of paper with her name and dates on it underneath the glass that is now broken. 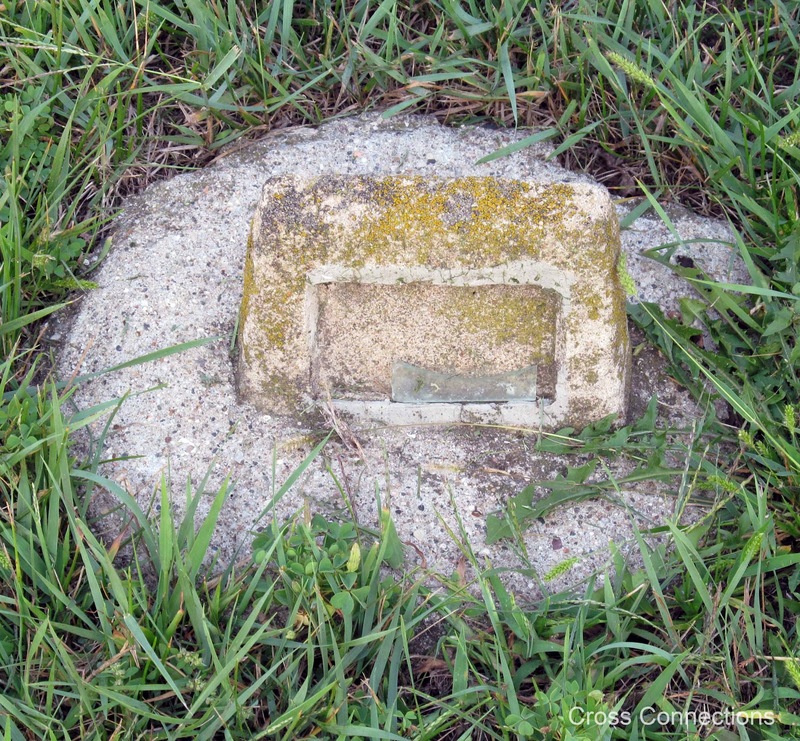 Here is this little forlorn grave, now without even that piece of paper to tell the world she lived, if only for 3 months. 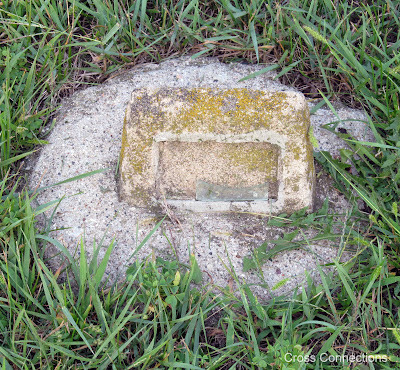 That this small little grave stone has survived over 100 years is truly miraculous. Beatrice was the first Cross to be buried in this cemetery. Beatrice's father was my great grand uncle, Noah Ellsworth Cross (the middle Cross brother in the front row in the little picture up in the right corner of this page). He was always referred to as Uncle Ellsworth when I was growing up. Beatrice was the first child of Uncle Ellsworth and his wife Eliza Ann (Lobb) Cross. Eliza was 31 and Ellsworth 33 when Beatrice was born. I have often wondered how devastating her death must have been to them. Eliza was born and raised in England, both of her parents having died before she arrived in America in 1889. She didn't even have her mother to console her. Ellsworth's parents were also dead. Here is this young couple on the cold prairie of Iowa, in January of 1898, burying their little girl. Uncle Ellsworth and Eliza would leave Iowa, joining 3 of his brothers in Oklahoma, all four Cross brothers having secured land in the land rush. Only my great grandfather, Henry would stay behind in Iowa. The rest of the story is not sad for Ellsworth and Eliza. They would have 3 more children all born on their new homestead in Oklahoma: Lillian Violet (Cross) Goin, Elsie M. (Cross) Hansen, and Henry Ellsworth Cross. They would make several trips to Iowa to visit my great grandfather until Uncle Ellsworth's death on 7 September 1933. On those trips, I wonder, did they make their way to little Beatrice Fern's grave? Childrens graves always make me sad. It's truly a wonder that this one has survived so long. Keep blogging and researching. It's addictive and an honor to the ones, even the little ones, who've gone before. It truly is miraculous that it has survived the winters in Iowa. Thank you for the encouragement and for stopping by. I appreciate it! I just found your blog through Geneabloggers. Welcome to Geneabloggers.